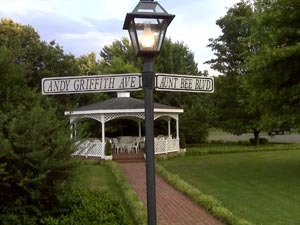 Mt Airy is home town to Andy Griffith and it's clear the town is proud of him. Everywhere you go there's something to remind you of the star. 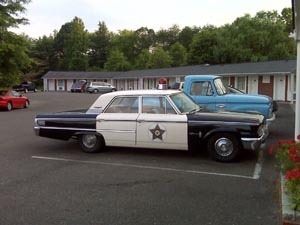 Last night I stayed at the Mayberry Motor Inn on Andy Griffith Blvd. 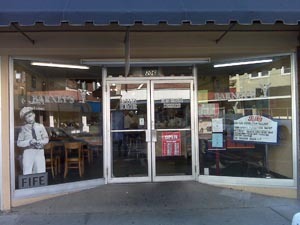 Ate breakfast at the Barney Fife Cafe. Then I went to the Andy Griffith Playhouse. Just down the street were Floyd's Barber Shop and Gomer/Goober's gas station. After that exploration I headed to Winston-Salem (through Mt Pilot) Harley for a new rear tire before I head to Tail of the Dragon tomorrow. Tonight I'm staying right across the freeway from the Billy Graham Training Center. This is his home town.